Shimadzu will be bringing a number of new x-ray products and upgrades to ECR 2018 next week in Vienna, including new versions of its MobileDaRt Evolution mobile digital x-ray and Trinias angiography systems. Version MX8 of MobileDaRt Evolution features Shimadzu's first telescoping support column, a 19-inch flat-screen monitor, a lockable flat-panel detector housing compartment, a variety of options, and improved operability, according to the vendor. The new collapsible column is 1,270 mm tall and 560 mm wide, 20 mm narrower than the previous model's height of 1,930 mm. In addition, MX8 features a 15 mm increase in the maximum x-ray focal point height, which enables easier examinations on patients in higher beds, Shimadzu said. New optional features on MX8 include a wireless hand switch for x-ray exposure operations and a height-adjustable grip bar to improve the efficiency of hospital rounds, according to the company. Shimadzu's MobileDaRt Evolution MX8 mobile digital x-ray system. Image courtesy of Shimadzu. 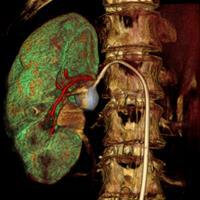 Shimadzu will also be highlighting a new Unity edition of its Trinias cross-disciplinary angiography system. Suitable for cardiac, neurological, abdominal, and peripheral imaging in support of interventions in all regions of the body, Unity features new image processing technology, a multifunctional examination table with a tilting function to support flexible patient positioning, and a configurable touch panel, according to the vendor. The company's Flex-APS artifact reduction software automatically corrects any pixel movements in real-time during digital subtraction angiography acquisition if the image of the vessel deviates from the live image acquired by contrast imaging, Shimadzu said. In addition, Unity edition's Score Chase application shows the entire peripheral region in one image by automatically stitching together individual images. The system can also be equipped with a 16 x 22-inch dynamic detector to cover large body parts such as abdominal or peripheral regions, the firm said. 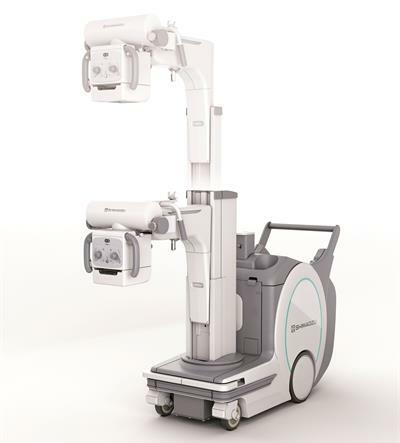 In other product news, Shimadzu will be showcasing its Shimadzu Ultimate Real-time Enhancement Engine Fluoroscopy Assisted Studies and Treatments (SUREengine FAST) image processing technology on its Sonialvision G4 radiography/fluoroscopy system. SUREengine FAST can reduce the radiation dose required for performing endoscopic retrograde cholangiopancreatography by 45%, while maintaining image quality and real-time performance, according to the vendor. Shimadzu plans to highlight several product upgrades at ECR 2016 this week in Vienna. Shimadzu has released a new angiography application designed to reduce treatment times and the amount of contrast media used. Shimadzu has released a new version of its Radspeed Pro digital radiography (DR) system: Radspeed Pro Edge.